Home Personal Life Significant events Hello HashtagLive Kuching! It’s April, and I have something very special to introduce. After Tweet-Up Kuching (#twtupkch), Malaysia’s Best Social Media Gathering, another social media event has been under the wraps since last December. Organized by myself and four other close friends, also those involved in #twtupkch, this event, known as HashtagLive Kuching would fill in the missing link of Kuching’s vast events list. You see, after the last #twtupkch in 2012, there has been a lot of similar events, but none are really revolving around social media, and intending to directly bring new talents to the eyes of the community. Some events also were too educative that they became dull. 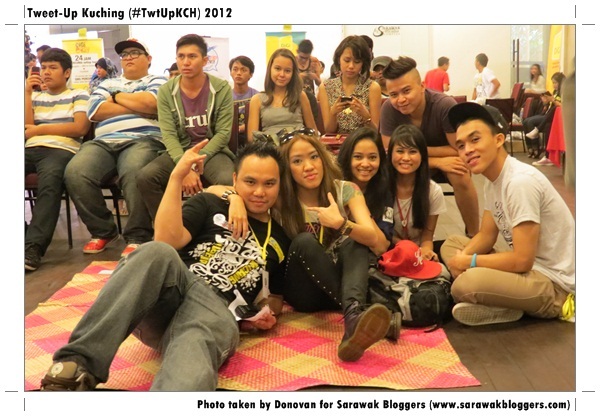 TwtUpKCH was great, but HashtagLive Kuching should be better! 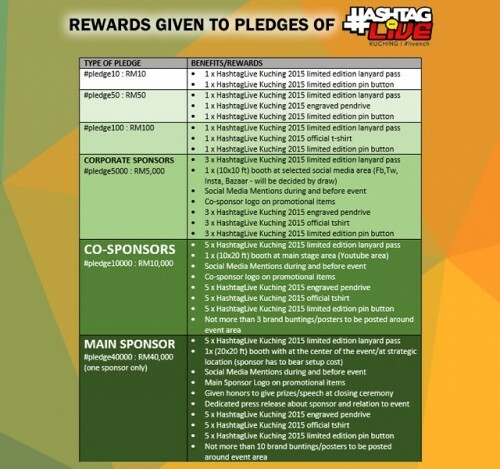 We figure that Hashtaglive could change that by giving a huge platform for new aspiring artist to showcase their art, talent and more to the community. When an event is planned, there is need for funding, and that’s where HashtagLive Kuching gets interesting. We have scouted for numerous ways to get funding for HashtagLive Kuching, and figured that crowd funding is the best way to fund the event. This to me is a bold and daring move by us as crowd funding has never been used to fund an event in Borneo until this very day, yes, until HashtagLive Kuching, and hence making it the first ever crowd funded project in Borneo. Udahlah first, we are aiming high, which is RM80,000 because we do not want to do an event just for the sake of doing one. We want to make it huge and proper so that whoever we highlight will get the exposure they deserve. If the event is small scale, the exposure is small scale, and that’s why we decided to go all out. Being the first, we need to introduce the whole crowd funding concept to the community, and that is a challenge by itself especially since people tend to not know what new things are about. The typical man on the street would know it as ‘membeli sambil menderma‘ but when we put the name ‘crowd funding’, it becomes an alien thing. Can’t blame them, but we are trying in our best methods to educate the public. 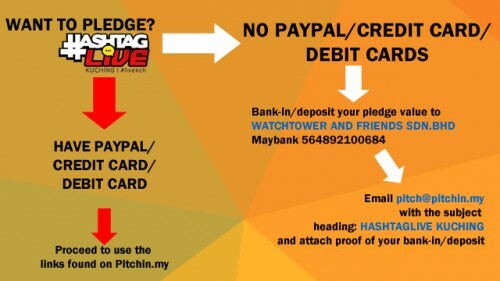 Rewards for pledges which will only be given shall the RM80K we need be collected. I’ve heard some friends say that RM80K is a lot of money and I’ll tell you why we are seeking that much funds. You see, when you want to highlight someone or something unknown, you can’t do it on a small yet also unknown platform or event. If you do this, the person gets more experience, but gets little in terms of publicity and also exposure. That is why we need the RM80K, which is to create a huge hyped event, with one or two huge names being invited to be at the event. 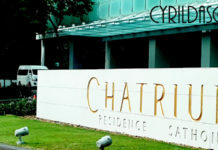 This way, the new talents not only are able to rub shoulders with the big names, but also are able to get more exposure because they will be performing, or showcasing their abilities together with the well known talents. But stil there is a lot of sceptism out there, and we need to really educate people about crowd funding and why we are doing HashtagLive Kuching. Despite all the challenges, we are optimistic of our chances, but at the same time hope the pledges will come in. That said, I really hope you guys will help for this event, and if you need more convincing, or need to know more about the event, kindly visit www.hashtaglive.my. Else, the video below might give you an idea of what we are trying to do. Thanks for helping out and I hope you will pledge for HashtagLive Kuching!